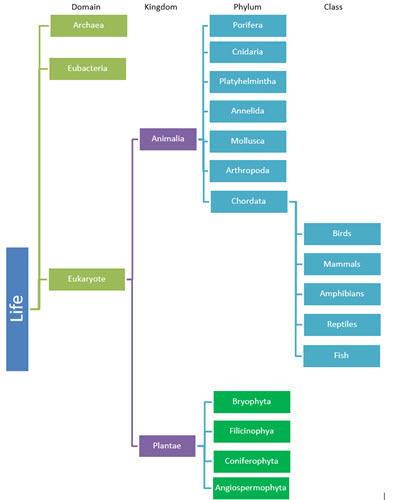 Students will learn how to identify the main groups of animals by their external features and how to group them into the seven phyla and five classes of chordates. There is an introduction to binomial nomenclature and an explanation of the hierarchy of the different taxonomic groups. The last activity contains some IB style questions on animal classification.How many different groups of animals have a backbone?